Will be released in September, reportedly. 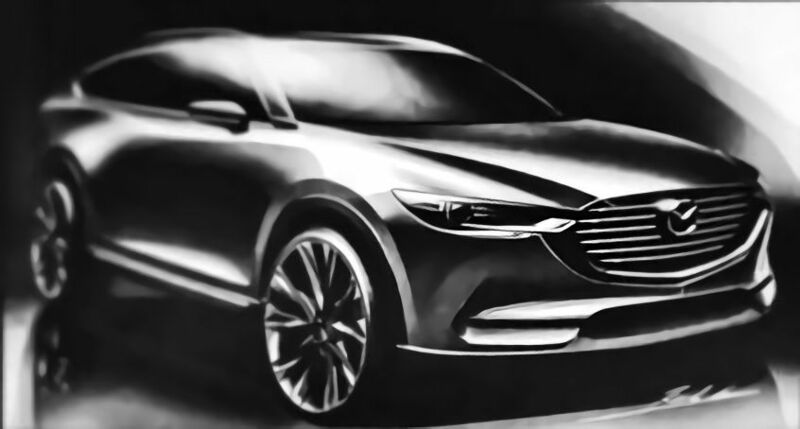 A report from livedoor Blog has revealed some new details about the Mazda CX-8. The Mazda CX-8 will have the new generation 2.2 SKYACTIV-D clean diesel engine under the hood as standard. The report suggests that the Mazda CX-8 would start at a price between 3-3.5 million yen (INR 17.48 lakhs to 20.40 lakh) and that its high grade model with four-wheel drive system would have a pricing close to 4.5 million yen (INR 26.23 lakh). The entry grade will feature 17-inch wheels and the middle and high grades will have 19-inch wheels. 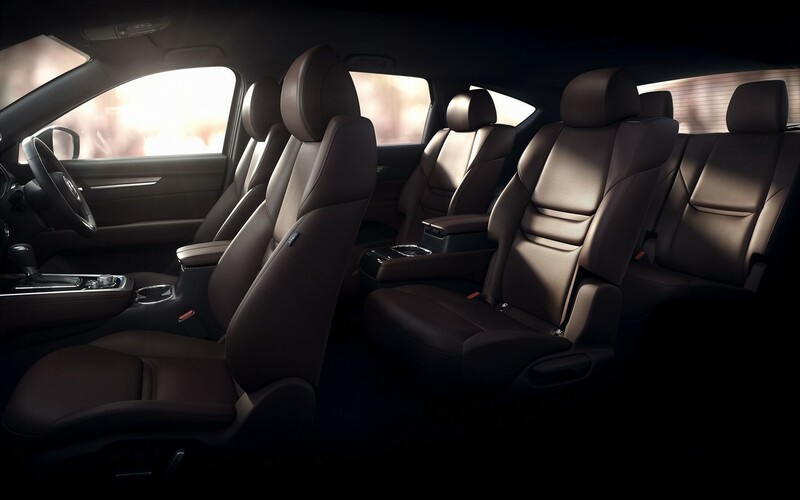 The space in the third row seats is probably enough just to accommodate children, and this was expected as the CX-8 is a 5+2 compact SUV, not a proper three-row mid-size SUV like the Mazda CX-9. An interior image released by the company suggests that the third row passengers will sit much higher than the front passengers. Around view monitor and roof rails are standard. The Mazda CX-8 measures 4,900 mm in length, 1,840 mm in width and 1,730 mm in height, and has a wheelbase of 2,930 mm. In comparison, the Mazda CX-5 has a length, width and height of 4,545 mm, 1,840 mm and 1,690 mm respectively, and its wheelbase spans 2,700 mm. Mazda will offer the CX-8 in 6-seat and 7-seat seating configurations, with the new generation 2.2 SKYACTIV-D clean diesel engine under the hood as standard. This is the same unit that produces 129 kW (175 PS) and 420 Nm of torque in the CX-5. Mazda will offer the CX-8 in 6-seat and 7-seat seating configurations, the new report says. Mazda has confirmed that the Mazda CX-8 will go on sale in Japan before the end of 2017, and the report suggests that September is the release month. Production could take place at the Hiroshima Plant, the CX-5's current production site, and/or at the Hofu Plant where the CX-5 production will start in November.